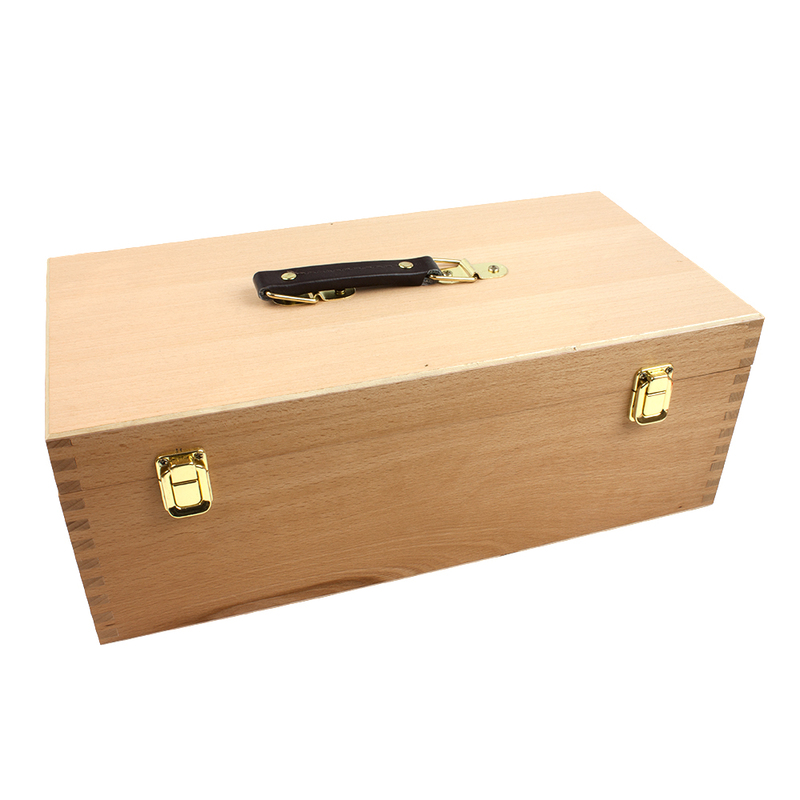 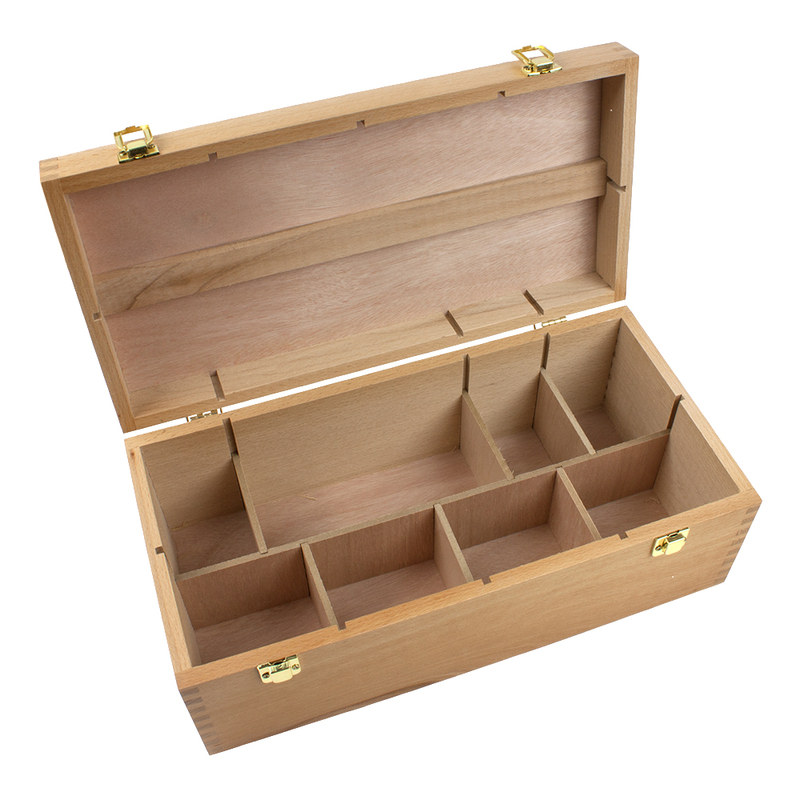 A high quality deep empty Beech wooden box with lift out trays and comb joints. 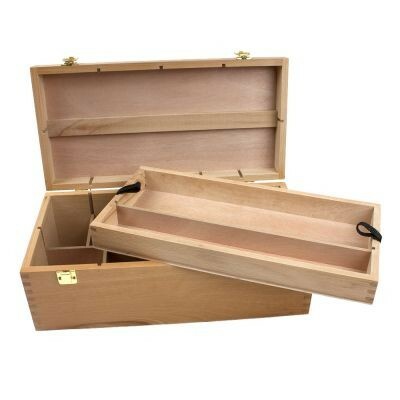 Can be used to keep any art materials in. 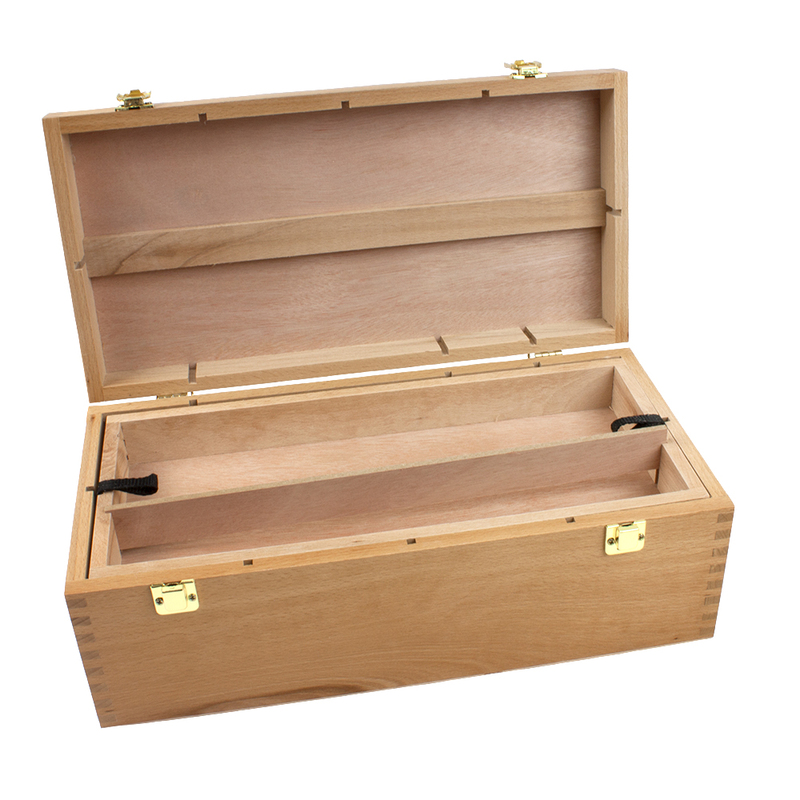 The box comes with a leather carry handle and brass fittings.